Gettysburg Flag Works is proud to offer custom motorcycle flags as well as a selection of stock USA and military designs. 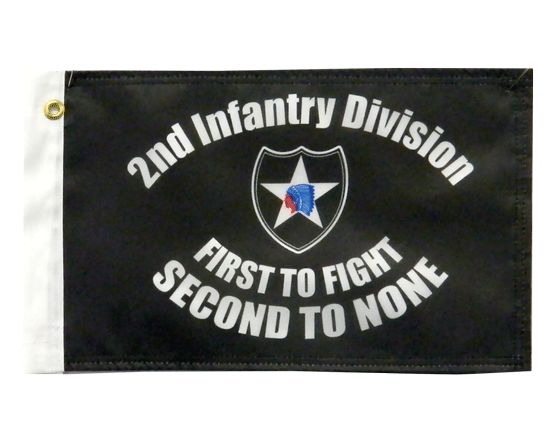 For a motorcycle flag that fits our hardware, a sleeve with a little grommet at the top is used but we can make your custom flag with any type of mounting options. Most common is header and grommets or a sleeve. 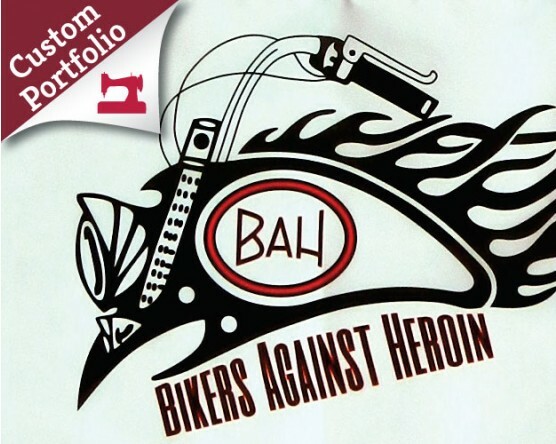 Most motorcycle flags are printed polyester and sewn double sided with a liner. 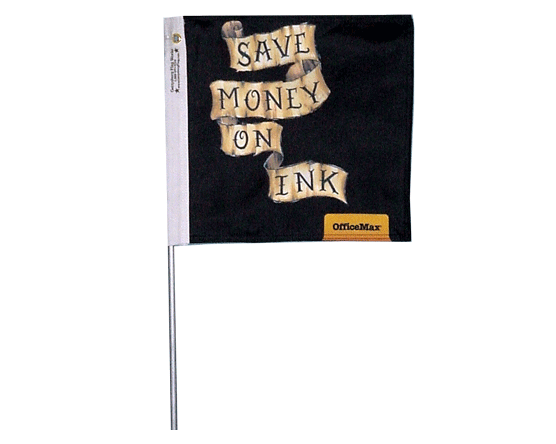 This creates a heavy but more durable flag for longer wear. 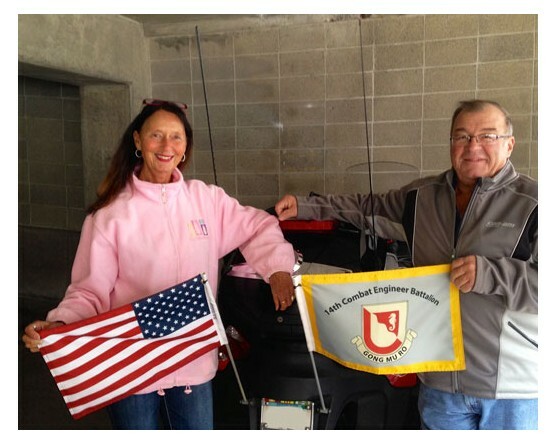 Motorcades and rallies are great places to show off your customized motorcycle flags. 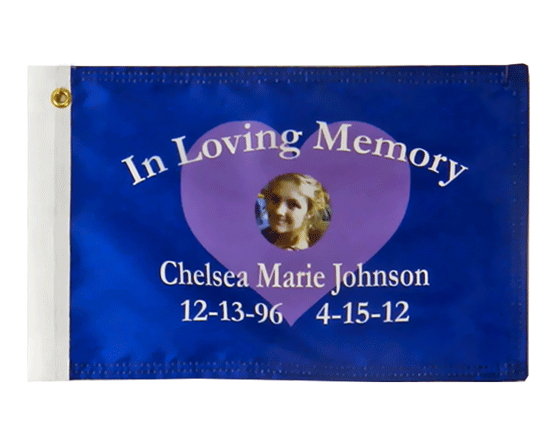 Designed for use at parade speeds, these flags can be used to promote your club, show patriotism, raise awareness of a special cause, etc. We also have mounting brackets and staffs available. 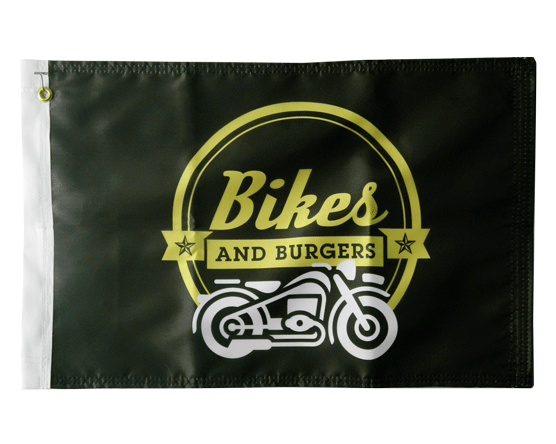 Whether you choose 8x12", 12x18" or a custom size, you'll find that our motorcycle flags are of the highest quality available. 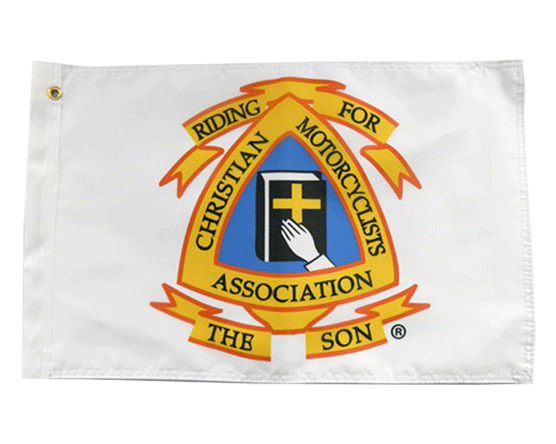 We use the same polyester fabric for our motorcycle flags that also flies high on a flagpole, layered with light blocking material and finished with double rows of stitching for longevity. Most are printed double sided but if your design should be reversed on the back side (Like the American flag or any other country), we can do that too. Our typical mounting is a sleeve with a small grommet for attaching to our aluminum dowel but we can also do 2 grommets to accommodate your existing hardware. Call or submit a quote request to get started today.